MTV Other’s Practically Useful and David Neevel’s Mustache Are Back! This is one of the best things on Internet television. We love David Neevel's MTV Other webseries Practically Useful and we're happy to tell you it's back with a brand new episode! If you missed the first season, Neevel invents novel solutions to everyday problems. This time around he solves the problem of motorcycle noise by building an electric scooter. David Neevel is what MacGyver strives to be. David Neevel likes to build things, but he doesn't like the creme in the middle of Oreos. That's why he built a machine that removes it with a hatchet. It was one of a series of videos Oreo released showing interesting ways to separate the creme and the cookie. Now Neevel has his own show on MTV's new online outlet MTV Other called Practically Useful. On the show he builds things you never knew you needed -- like a coffee cup with a level indicator. There is now a second video of an Oreo separating machine on the Internet. This is apparently a thing now, and you know what? That's fine. These videos are surprisingly cool for a thinly veiled marketing campaign. 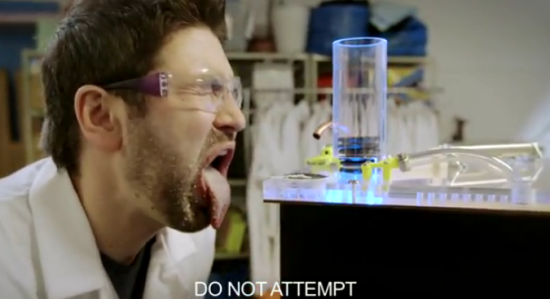 It might be because they combine a lot of things I love: science, fine video production, facial hair, and junk food. This second machine doesn't make use of a hatchet like the first one, but it does spray hot creme in your face, so there's that. 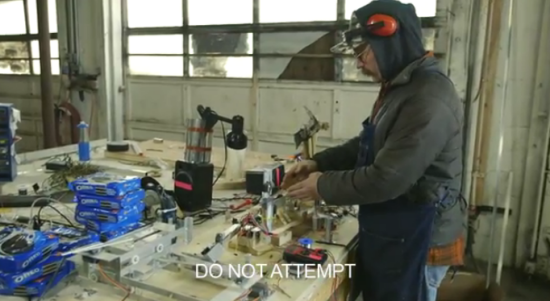 David Neevel doesn't like the creme in the middle of Oreos, so he built a machine to remove it. Even though his stance on Oreo creme is horribly, tragically, and completely misguided you have to respect a guy who takes action to get what he wants, or to eliminate what he doesn't want as the case may be. Neevel is a physicist from Portland who is the type of person who sees a problem and solves it -- with a hatchet-wielding robot -- because that's how you freaking get things done.